The FIFA 19 Journey mode will see the career of Alex Hunter reach a dramatic conclusion in the next game in the series. Dubbed The Journey Champions, Hunter will start his career with Spanish giants Real Madrid. Danny Williams, who first hooked up with Alex Hunter and the National Football Academy exit trials also makes an appearance, alongside Kim Hunter, Alex’s half-sister. In this iteration, she gets called up for the Women’s World Cup. You can find out more by watching the FIFA 19 The Journey Champions trailer. 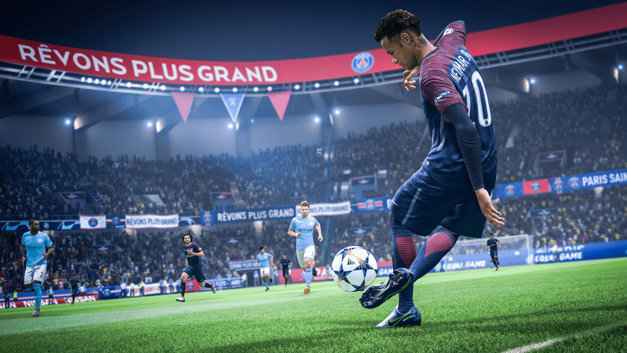 EA Sports says that players will once again meet up with famous footballers through The Journey in FIFA 19. These will include Neymar Jr., Alex Morgan, Paulo Dybala, Kevin De Bruyne, and others. In terms of gameplay, there’s a draft of new changes for FIFA 19. Tweaks to the FIFA 19 career mode coincide with changes on the pitch. You can check some of these new additions out in the latest FIFA 19 demo gameplay. If you’re thinking of picking up the game, then check out the new FIFA 19 PS4 bundles that are launching to coincide with the September 28 release date.